This cruel administration demonstrates a new level of hypocrisy with its DACA decision today. While it’s fine to allow this DACA recipient to help save Houston hurricane victims today, ICE will use his personal information to deport him later. He’s not alone – get informed. This entry was posted in General and tagged DACA, Hispanics, immigration, Latinos on September 5, 2017 by coronino. Harvard, class of 2018, 41.2% is legacy. Family connections help you get into college. …In other words, if a nonlegacy applicant faced a 15-percent chance of admission, an identical applicant who was a primary legacy would have a 60-percent chance of getting in. This entry was posted in General and tagged demographics, Higher Education, Hispanic, Latino on September 1, 2017 by coronino. Astonishing statistics. Review the interactive graphs too. More Hispanics are attending elite schools, but the increase has not kept up with the huge growth of young Hispanics in the United States, so the gap between students and the college-age population has widened. This entry was posted in General and tagged Higher Education, Hispanics, Latinos, workforce on August 29, 2017 by coronino. Diossa worked on improvements to infrastructure, got better sanitation equipment, hired more police officers and even opened a tutoring center for children whose parents are immigrants and don’t speak English fluently. The young mayor also managed to keep the community engaged by bringing an auto show to Central Falls and a monthly Salsa Night in the summer, which has attracted plenty of locals as well as dancers from other parts of Rhode Island. It’s also worth noting here that Salt Lake City just elected its first female and Latina sheriff! This entry was posted in General and tagged Hispanic, Latino, leadership, politics on August 14, 2017 by coronino. Delighted to see this announcement at SUNY- Albany (right down the road!). Governor Andrew Cuomo recently announced the appointment of Dr. Havidán Rodríguez as the first Hispanic president of any SUNY four-year college in New York State history. Rodríguez’s appointment as the 20th president of the University at Albany follows the launch of the Governor’s SUNY Hispanic Leadership Institute, charged with developing and supporting the next generation of executive-level Latino leaders across the SUNY system. The appointment of Dr. Rodriguez follows the creation of the SUNY Latino Leadership Institute back in March. The SUNY Hispanic Leadership Institute will focus on developing, retaining and promoting Hispanic leaders at SUNY for the positions of university president, provost, chief financial officer, chief business officer, among others. The work of the SUNY Hispanic Leadership Institute will be guided by a distinguished Advisory Council, composed of 15 recognized state and national leaders of the Hispanic and higher education communities. This entry was posted in General and tagged Higher Education, Hispanic, Latino, leadership on August 14, 2017 by coronino. Was it ever advancing? I’ve written about this for a few years. Federal hiring of Latinos has only increased incrementally since Clinton’s order 17 years ago, said Brent Wilkes, chief executive officer of the League of United Latin American Citizens. Currently about 8.5 percent of the federal workforce is Hispanic. This entry was posted in General and tagged federal, government, Hispanic, jobs, Latino, workforce on August 7, 2017 by coronino. Despite its slowing growth rate, the Hispanic population continues to expand, reaching a record 58.6 million in 2017, according to the Census Bureau’s latest estimates. As the second-largest racial or ethnic group in the U.S., Hispanics play a significant role in the nation’s population trends. Overall, the U.S. population increased by more than 2.2 million people between 2016 and 2017, with Hispanics accounting for 1.1 million, or about half (51%), of this growth. This entry was posted in General and tagged demographics, Hispanic, Latino, trends on August 7, 2017 by coronino. Between 2010 and 2015, the presence of Latinos on major Texas campuses grew as the white populations fell, according to data from the National Center for Education Statistics. Across the board, enrollment of Hispanic students on large Texas campuses has been rising. From 2010 to 2015, the University of Texas – San Antonio saw Latino enrollment jump from about 44 percent of the entire student body to more than 50 percent, according to NCES. The Latino population at the University of Texas’s Austin campus also jumped from 17 percent to more than 19 percent in that time period. This entry was posted in Uncategorized and tagged demographics, Higher Education, Hispanic, Latino on August 7, 2017 by coronino. Can You Meet Client Diversity Expectations? Interesting article via Accounting Today highlighting Facebook’s law firm requirement that 33% of staff must be comprised of women and ethnic minorities. As this article suggests, most CPA firms could not meet this requirement. AICPA reports in the most recent “Trends” report that only three percent of new hires were Black/African-American and eight percent were Hispanic/Latino. So, it would be easy to conclude that many CPA firms could not comply with Facebook’s new requirement for ethnic diversity. This entry was posted in General and tagged accounting, careers, CPA, Diversity, Hispanic, Latino, workforce on July 27, 2017 by coronino. 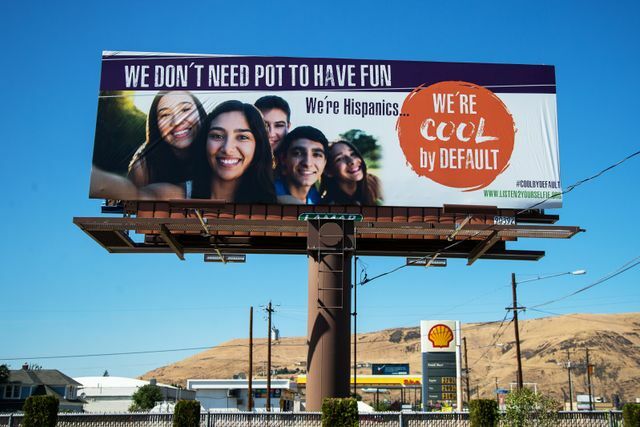 The Washington State Department of Health embodies how one message can showcase your cultural unawareness and lack of a diverse workforce. This entry was posted in Uncategorized and tagged Advertising, Diversity, Hispanics, Latinos, marketing, workforce on July 26, 2017 by coronino.